COwning a credit card comes with a lot of responsibility. Here is some credit card info for you. No matter what you’re using it for or how much money you’re spending, it’s important to understand this and learn how to use it wisely. 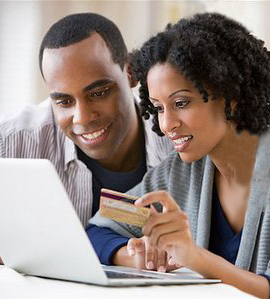 It’s also important to keep remember that a credit card comes with certain responsibilities and rights. And knowing both of these things will help to keep you safe when using your card. Always pay your interest immediately at the end of the month. Go through your statement and check for errors, deal with refunds, manage disputes and watch for unauthorised charges. Keep your card safe and secure and know how to report theft, damage or loss. To help you avoid this set a reminder to pay before the end of the month and make sure you’re able to pay on that date. You can also set up automatic debits but remember there are factors to consider. You may have problems paying your balance that month. And you will also need enough money to your bank account to cover the monthly payment. If you find billing errors, then they must be immediately corrected. You will be sent a statement by your card issuer which explains what to do when you find billing errors. In the event of your credit card being stolen, lost or used without permission, you can still be held accountable. To avoid this, you must report the loss. Always report a lost card as soon as you can. Most card issuers will provide a 24-hour toll-free telephone number for emergencies. It also helps to include a letter detailing the theft. Don’t ever lend your card to anyone no matter what. Never sign for anything where you won’t be able to authorise charges. Don’t ever write your account number anywhere someone can steal it. Be careful when revealing your account number over the telephone, the internet or any other communication device. Know who you’re dealing with over the phone and that they represent an honest company. Hold on to your receipts and print out online statements so you can check them with your bill. Keep cards safe by only carrying to one’s you expect to use. Keep details of your account numbers, expiration dates and phone numbers of the credit card companies in case you need to report the theft.